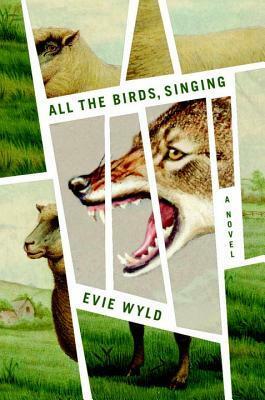 We begin with Evie Wyld’s All the Birds, Singing, this year’s winner of Australia’s most prestigious literary prize, the Miles Franklin. I haven’t read it. Yet. I know, I always read the Miles Franklin winner… Anyway, it doesn’t stop me from participating and my first link is to Mateship with Birds by Carrie Tiffany. Obviously there are birds in both titles, but both books are also Australian prize-winners (Tiffany won the inaugural Stella Prize for Mateship). Animals are an important part of Mateship, as they are in Karen Joy Fowler’s We Are All Completely Beside Ourselves. We Are All Completely Beside Ourselves is the best book I’ve read (so far) this year. 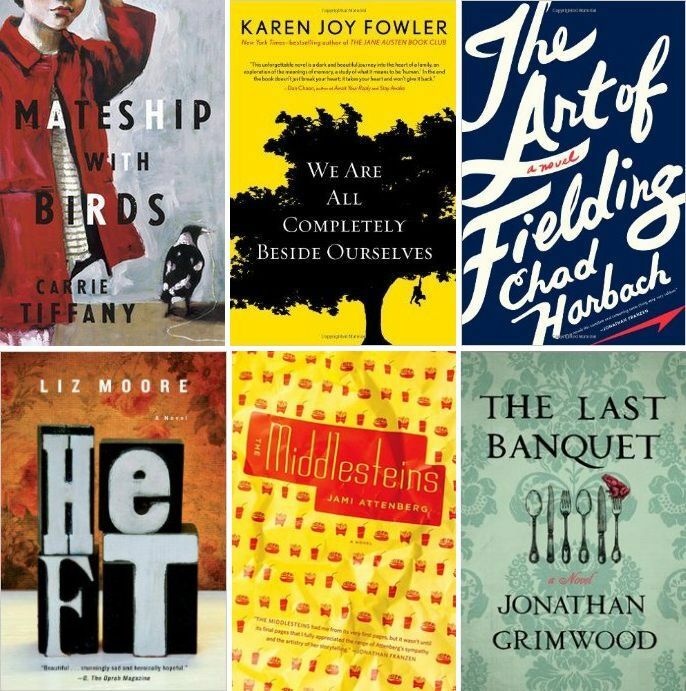 The nice thing about blogging is that you have a record of other books you considered the ‘best’ in any given year, so the next link is to my 2012 favourite, The Art of Fielding by Chad Harbach. The Art of Fielding is only partly a baseball story, as is Liz Moore’s Heft, a fantastic book that didn’t get the exposure or credit it deserved (in my opinion). Morbid obesity is the central theme in both Heft and Jami Attenberg’s The Middlesteins and is the basis of my fifth link. Attenberg manages to include food in almost every scene in The Middlesteins and, most importantly, uses it to tell a broader story. The same can be said for Jonathan Grimwood’s The Last Banquet (and if you’ve read both books, you’ll see an additional link between Middlesteins and Banquet). From birds and animals to baseball and cake, that’s the fun of #6DEGREES. All the Birds, Singing is fantastic – definitely one of my favourite books of the year. I hope you enjoy it! The only other one I’ve read is We Are All Completely Beside Ourselves, for which there aren’t enough superlatives. I’ll definitely look out for others you mention, especially Heft. My ever growing TBR is weeping right now…. I’ve only heard good things about All the Birds, Singing – have some time away coming up, so will read it then. Great links! I sort of enjoy the personal ones (fave books each year) because our minds do often connect things in ways that aren’t obvious to others. I really really really need to read The Art of Fielding. I also really liked The Middlesteins and want to read more of Attenberg’s work. I haven’t read any of these! But it looks like some good ones. I’ll check them out. There are three books on your list (The Art of Fielding, Mateship With Birds and We Are All Completely Beside Ourselves) that I’ve wanted to read for ages – and such incredible praise as 2 of them being your best books of this year and last have bumped them up my list somewhat. The others I hadn’t even heard of, but also sound great! The Middlestiens sounds a bit like Big Brother by Lionel Shriver, which I loved. The Middlesteins has similar themes to Big Brother (I also loved that book) – from memory, Annabel loved The Middlesteins as well – a double endorsement! Mateship with Birds was actually the first book that came to mind with me too but I couldn’t think of where to take it… Honestly, NOTHING came to mind! I haven’t actually read it I must confess but I loved Tiffany’s first novel and it has been on my TBR for a while. I remember reading good reviews about Heft when it first came out. I love something a bit different. I just bought Fowler’s novel this week and it is probably one of the next ones I’ll get to.